Previous investigations, of adolescent diet recalled in adulthood, found lower risk for benign breast disease (BBD) with higher intakes of vegetable fat and nuts during high school. We investigate whether vegetable protein and fat, derived from diets reported during pre-adolescence and adolescence, are associated with subsequent risk for BBD in young women. The Growing Up Today Study includes 9,039 females, 9–15 years in 1996, who completed questionnaires annually through 2001, and then in 2003, 2005, 2007, and 2010. Food frequency questionnaires (1996–2001) obtained intake data on a variety of foods. Beginning in 2005, women (18–30 years) reported whether they had ever been diagnosed with BBD that was confirmed by breast biopsy (n = 112 cases). Logistic regression estimated associations between intakes of vegetable protein and fat and biopsy-confirmed BBD. Those individual foods that were the largest contributors of protein and fat in this cohort were also investigated. In analyses of intakes from 1996 through 1998, when our cohort was youngest, vegetable fat (OR = 0.72/(10 gm/day), 95 % CI 0.53–0.98; p = 0.04) was inversely associated with BBD risk. The greatest sources of vegetable fat and protein in these girls were peanut butter, peanuts, nuts, beans (beans, lentils, and soybeans), and corn. A daily serving of any one of these was associated with lower risk (OR = 0.32/(serv/day), 95 % CI 0.13–0.79; p = 0.01). Peanut butter (and nuts) at age 11 years was inversely associated with risk (p = 0.01). In analyses of intakes at age 14 years, vegetable protein was associated with lower BBD risk (OR = 0.64/(10 gm/day), 95 % CI 0.43–0.95; p = 0.03). A daily serving at 14 years of any one of the foods was associated with lower risk (OR = 0.34, 95 % CI 0.16–0.75; p = 0.01), as was peanut butter (and nuts) (p = 0.02). Girls with a family history of breast cancer had significantly lower risk if they consumed these foods or vegetable fat. In conclusion, consumption of vegetable protein, fat, peanut butter, or nuts by older girls may help reduce their risk of BBD as young women. 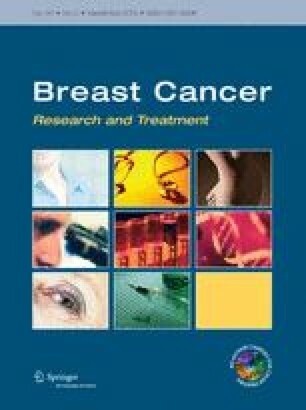 This study was supported by a grant from The Breast Cancer Research Foundation (NYC, NY) and by DK046834 from the National Institutes of Health (Bethesda, MD). Dr. Frazier was supported by an award from the American Institute for Cancer Research. Dr. Colditz was supported, in part, by an American Cancer Society Clinical Research Professorship. The authors appreciate the ongoing, since 1996, dedication of our female GUTS participants.